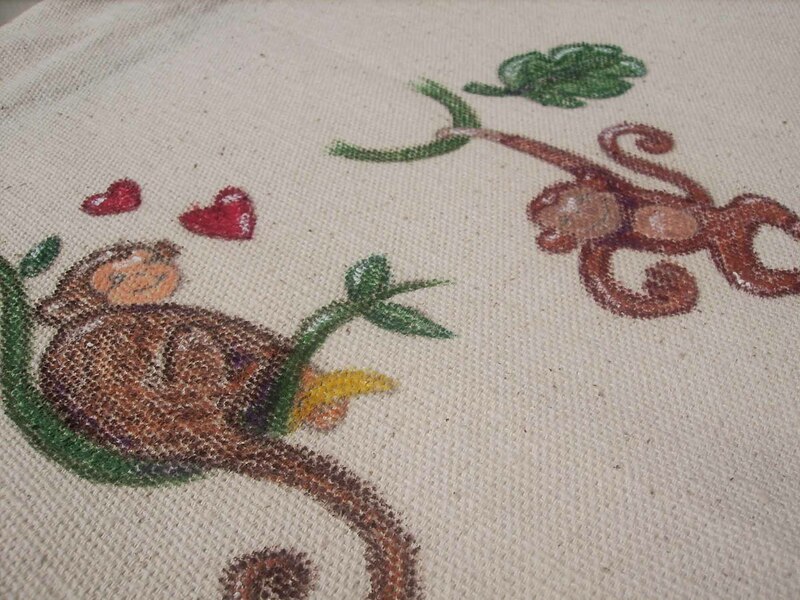 Moving on to the back of the “Monkey Love” purse. The back has been lonely and waiting to be made! 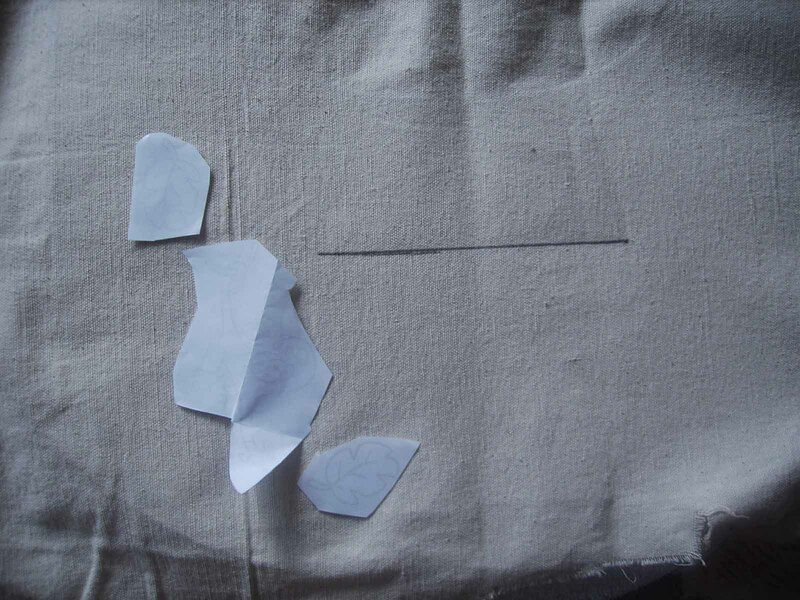 So, first, lay out the pattern and trace around the pattern shape. Cut 1 of pellon on the fold. I used Decor Bond pellon. 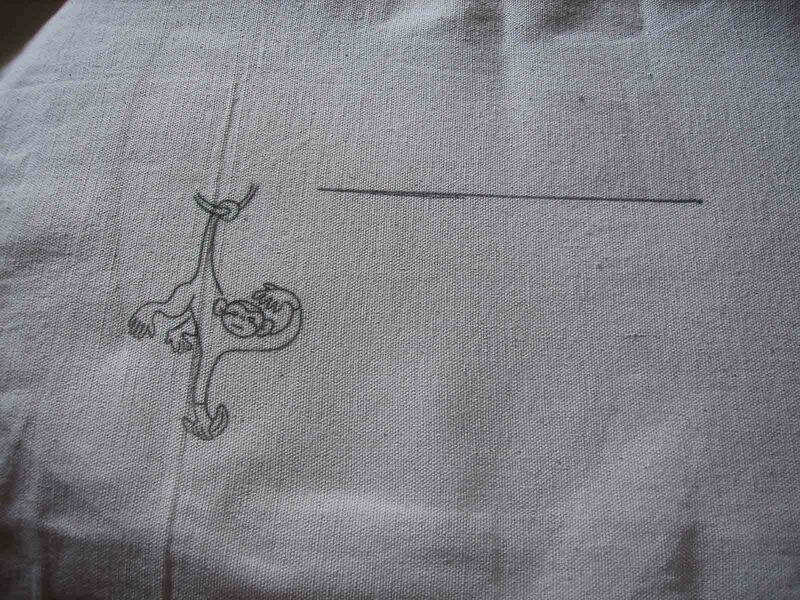 Lay the pellon piece on the fabric piece. Line them up. 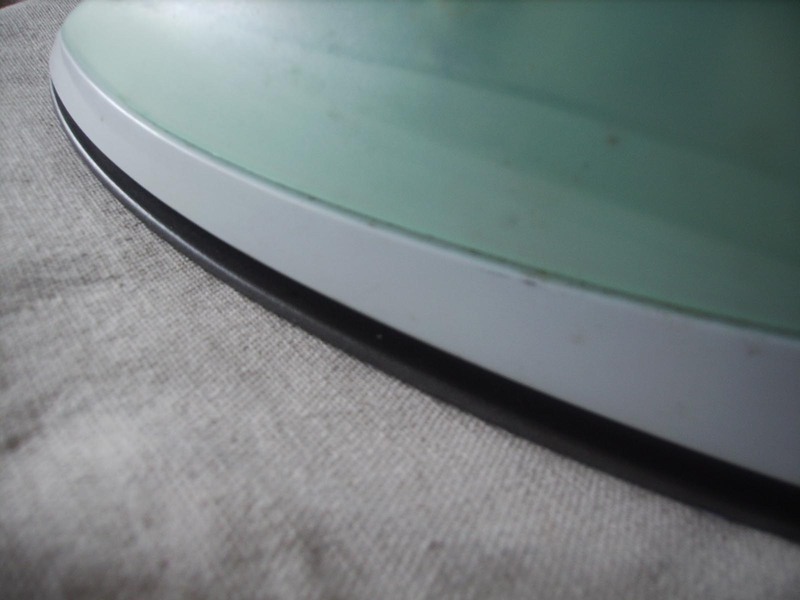 Press with a hot iron. 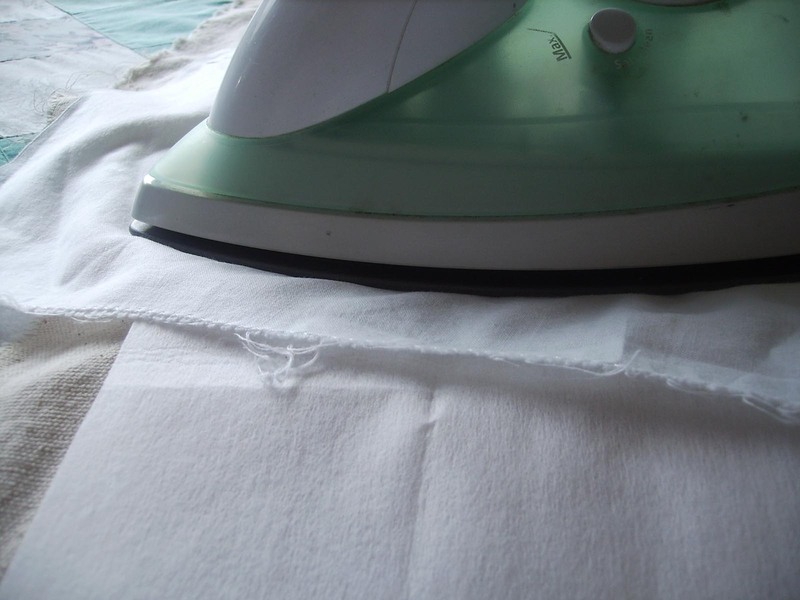 I use a protective fabric between the iron and the pellon to keep the iron from ruining any of the underlying material. 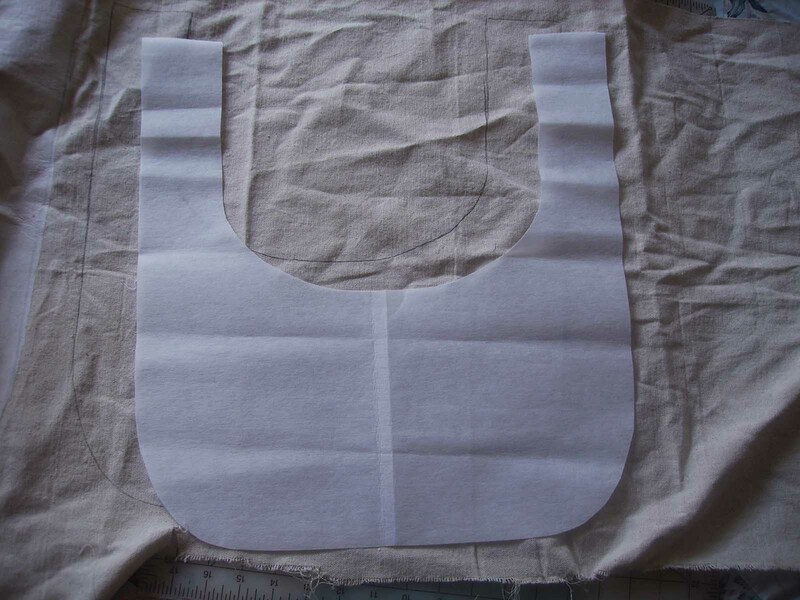 Here the pellon is fused to the purse shape. I think I would like a zipper pocket on this back side of the purse, so I am inserting a 7″ zipper later. 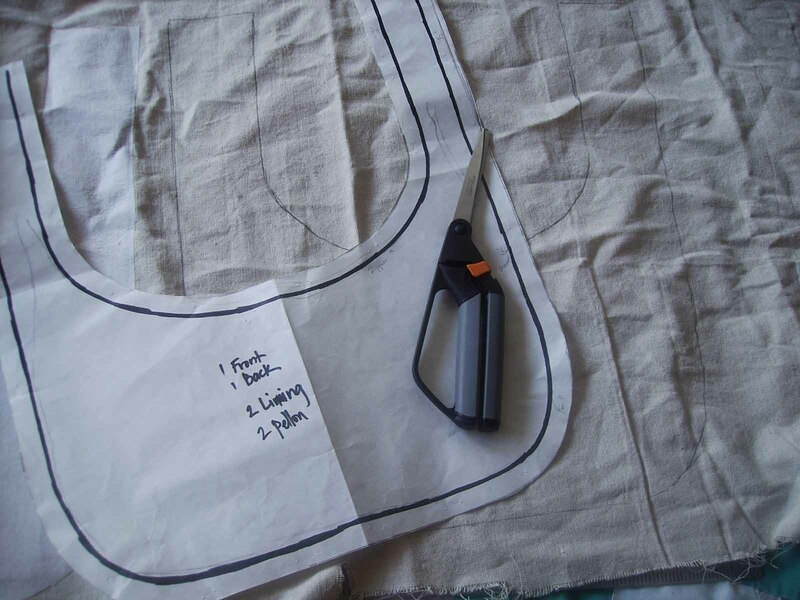 To mark off the zipper, fold the shape in half lengthwise. I think I’d like my zipper 3″ from the purse’s top edge. 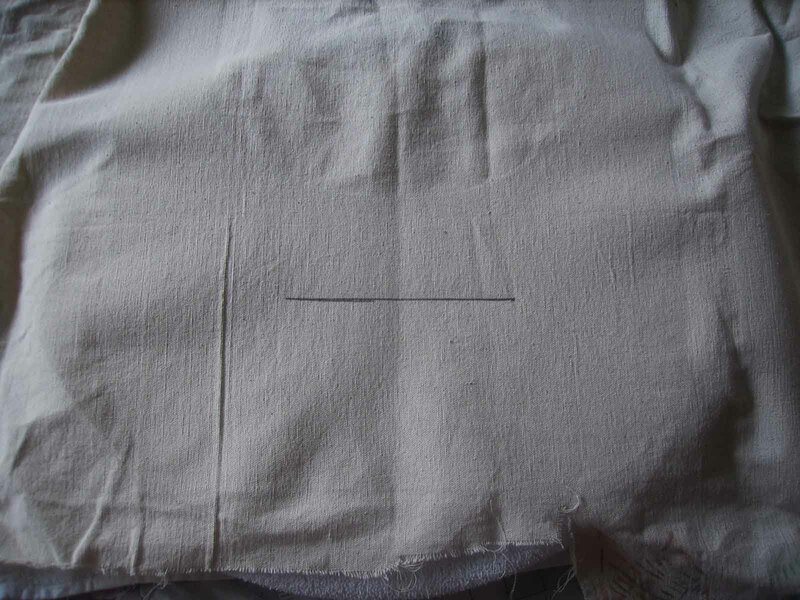 Mark off half the length of the zipper in the place where you’d like the zipper. 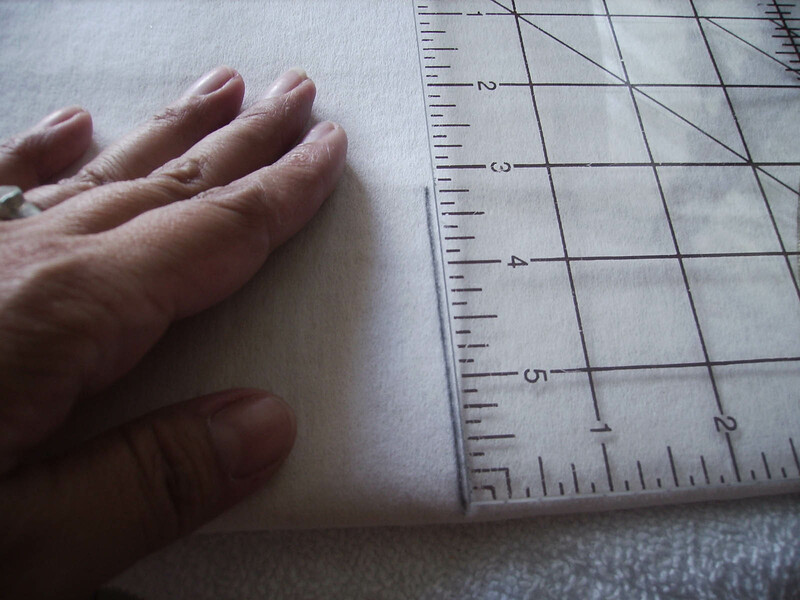 My zipper is 7″, so I marked off between 3-3.5″ since I will re-measure for a more accurate line when I sew in the zipper. 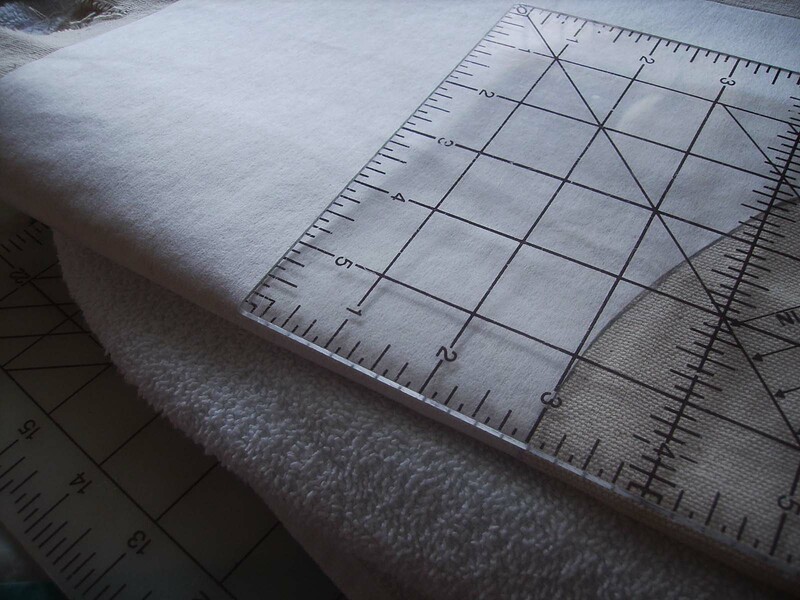 Unfold the fabric and mark the other half of the line you just drew. 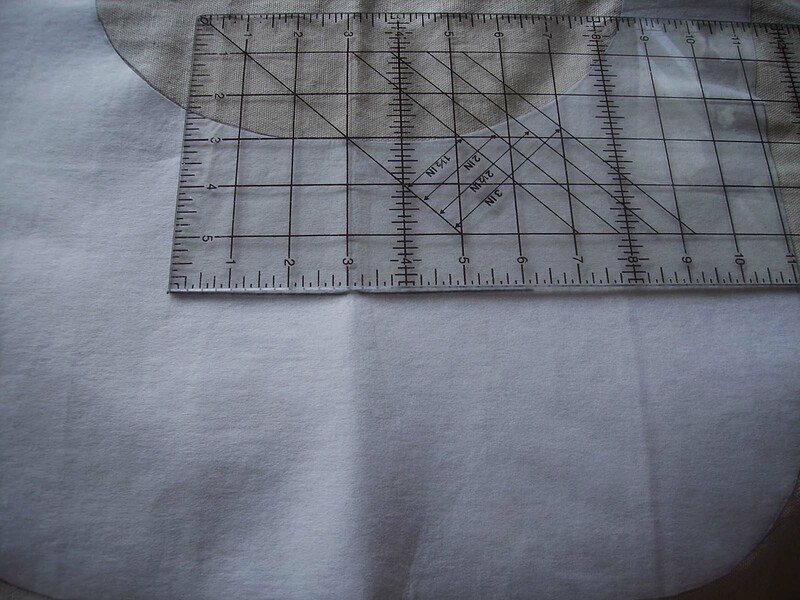 This is the entire zipper line on he wrong side of your embroidery fabric. 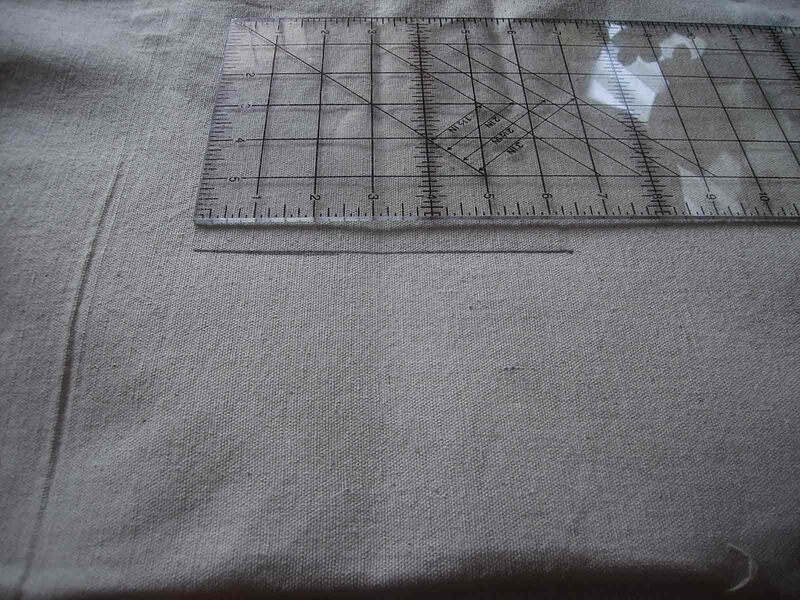 Now, turn the fabric to the front and transfer the zipper line to the front of the fabric. 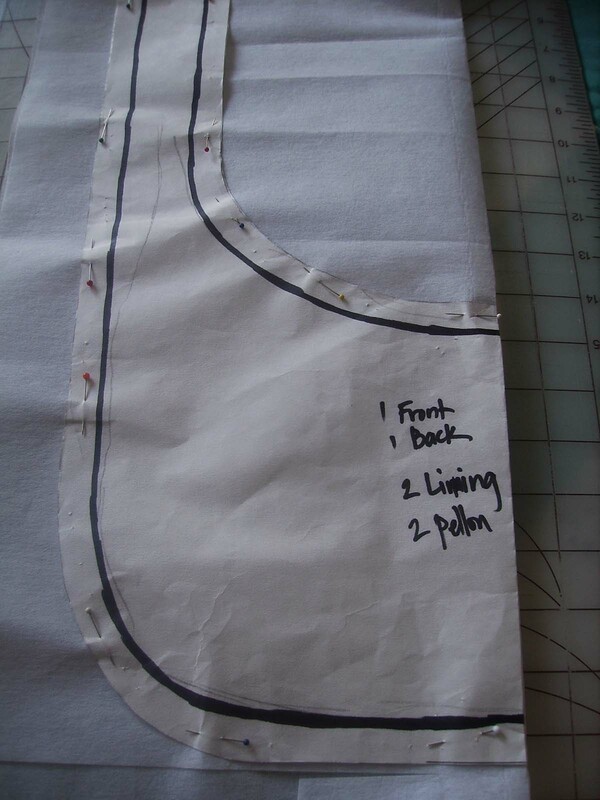 This is your design space with the zipper marked so that you can design around the zipper area. 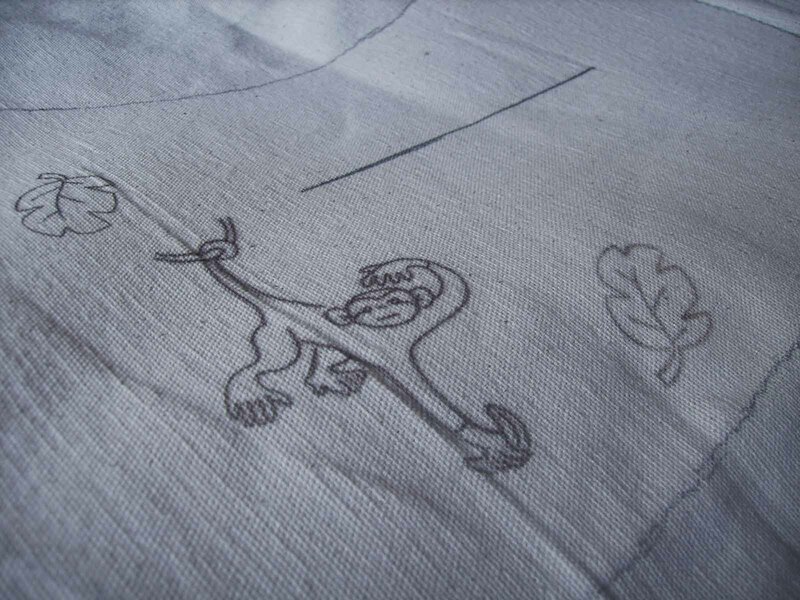 I used Jenny Hart’s Sublime Stitching “Monkey Love” iron on transfers. I choose another monkey and two leaves. 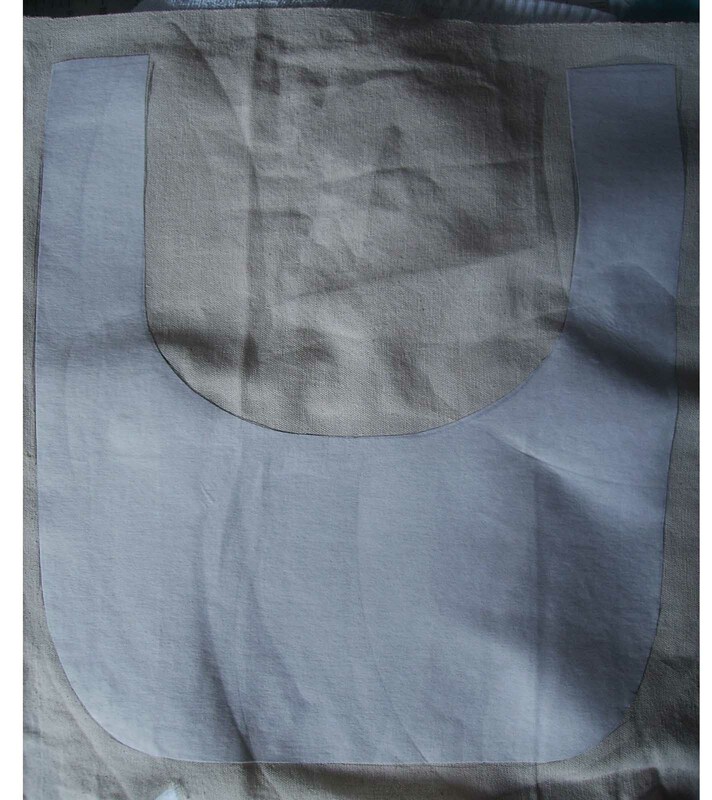 Position your designs or iron on transfers. Press a hot iron to the transfers. And here it is! One monkey in place in the design space. 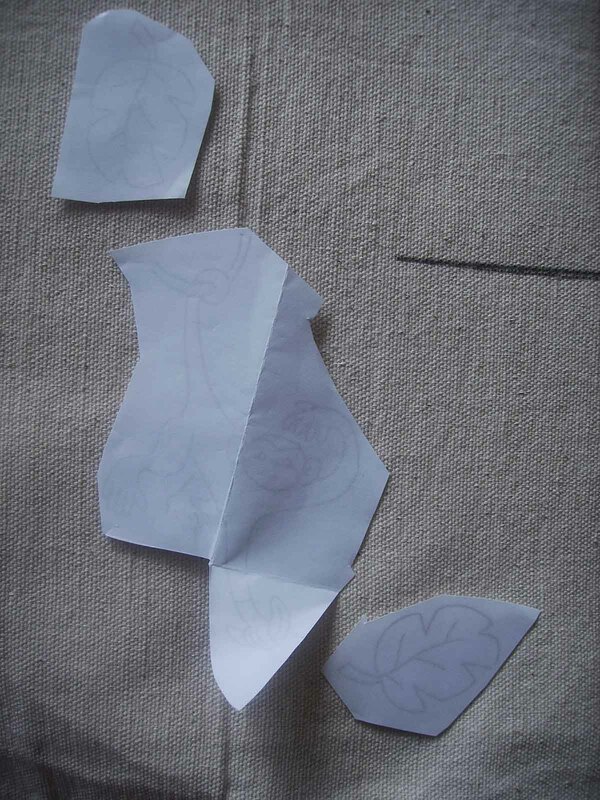 Here are two leaves in the design space as well. 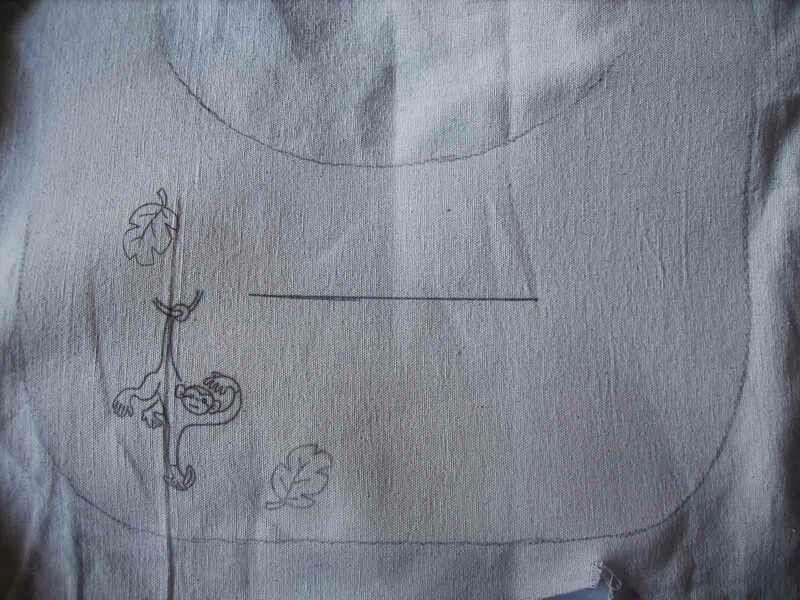 I transfered the lines of the edges of the purse to the front side of the embroidery fabric. This gives you a clearer picture of the entire design space. The “Monkey Love” purse now has a back. 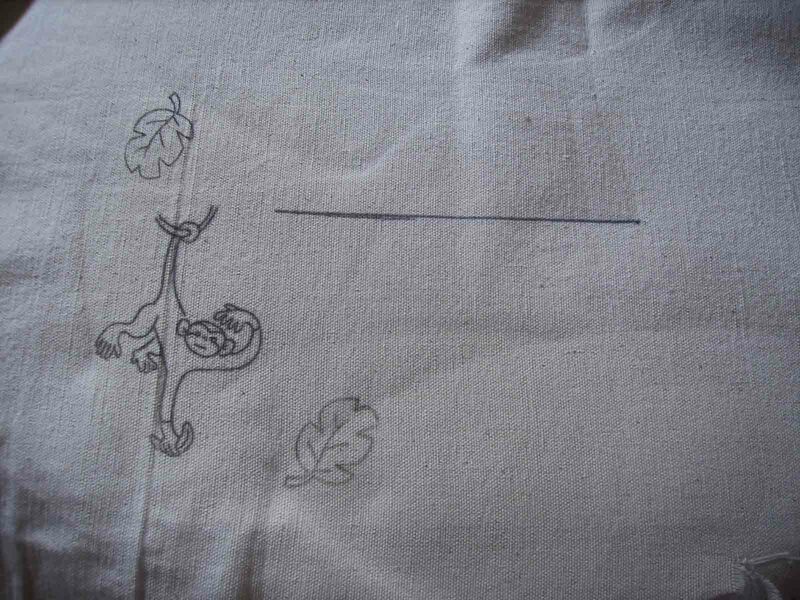 I’m off to color it with crayons to tint the fabric with crayon. I hope you are planning and designing a few wonderful things. Please share them in your comments! Your designs are always so cute! Thanks! The iron ons are really cute. Yea, I found the comment area…not sure HOW I found it….but I DID! Your tutorials are put together so well. Lots of great information, and easy enough even I can follow!! lol I found this site when you were doing the book marks…made 4. So cute, and a wonderful way to learn to make new stitches. Thank you for all your hard work. I love it!